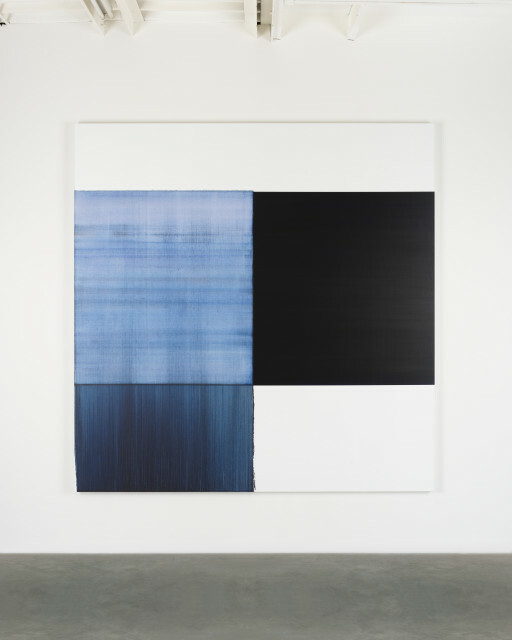 Callum Innes makes work in a number of different ways, all of which are gradually evolving as each new painting builds on those that have gone before in a subtle but constant progression. Innes has probably become best known for his Exposed Paintings series - made by layering pigments onto the canvas and then removing the oil paint with washes of turpentine - though this concern for the processes of painting, and un - painting, is shared by his Agitated Verticals, Resonance, Isolated Forms, and Monologue works. The play between additive and subtractive processes means that the potential for uncertainty is ever present within a rigorous visual language. Callum Innes was born in Edinburgh in 1962 and studied at Gray's School of Art, Aberdeen and Edinburgh College of Art. Innes was short-listed for the Turner and Jerwood Prizes in 1995, won the prestigious NatWest Prize for Painting in 1998, and in 2002 was awarded the Jerwood Prize for Painting. He has exhibited internationally and his work is held in public collections worldwide including the Guggenheim, New York; National Gallery of Australia; TATE, London, and Scottish National Gallery of Modern Art. From Memory, a major exhibition of Callum Innes' work over the past 15 years, was shown at The Fruitmarket Gallery, Edinburgh in 2006 and toured Modern Art Oxford, and the Museum of Contemporary Art, Sydney. In August 2012, commissioned by the Edinburgh Art Festival, Innes realised his first ever public art project, transforming the capital's neglected Regent Bridge by illuminating the historic arch with changing sequences of coloured light. A major survey exhibition of Innes’ work, I'll Close My Eyes was presented at the De Pont Museum, Netherlands from the winter of 2016 to spring 2017. A presentation of Callum Innes' recent work, Byzantine Blue, Delft Blue, Paris Blue, was the inaugural exhibition at Ingleby's new site at the Glasite Meeting House in May 2018.